:rock:This is sort of to compliment, or go along with the wonderful post Goofy_Moe did regarding weather or not to auction. Mostly this is because I really love the auctions and I want to see everyone who puts a pin up for auction succeed and be satisfied that they did not lose out with the pin. If you are anything like me, you feel bad when you see an auction that is on day 3 out of 4 and still has no bids. The pin number. So vitally important, a pinpics number lets the viewers figure out what is up for auction. If it is a PODM, be sure to put a picture of the Frame in your OP. END DATE. this is a must, in large print if possible. Do not forget to state the time zone. Always re-read or preview your post before submitting! You cannit edit your post or replies in the auction forum unless you are a DPF staff member. The underlined items are basics, and absolutly should be included. The above stated things would be kind of a "bare bones" no frills auction OP to me.I always put them in first, as an outline, then go back and fill in the rest. I add other things to my OP, and have on more than one occation gotten positive comments regarding this little "extra's." A picture if at all possible of the pin. You can use pinpics pictures, if you do not know how, please ask!! A link to the Pin Pic's informational page is always a benefit. I usually link the picture. if you do not know how, please ask! Even with a pinpics link, I like to include some "pinticulars" such as edition size, and trade/wants ratio, bidders like the quick view info. special notes regarding your likes, what you really want for this pin, things that you will reject if given the option and multiple bids. :werd:I am well known for my tendency to put in emoticons and smileys, also for bright multi-color OP's. I like my viewers, my potential bidders, to enjoy what they see. I also have several "types" of auctions. Standard, usually LE but not a crazy holy grail type pin. Psychotically simple, is usually an open edition rack or retired pin. "Big gun" is a high t/w ratio, LE and often higher dollar pin. :crazy:Yes, you can use the same terms. I do not mind at all. If you wanna use my auction styles, go for it! I believe Goofy_moe covers what and how to auction. But I will say this.... :nono:Avoid Hidden mickeys, and pins with scrap/counterfiet warnings. Until you are comfortable auctioning regularly, avoid multiple pins in one auction as well. Leaderboards should be posted regularly, any time there is a change, daily if possible. Its a handy way to "bump" your thread without saying "bump" too. CLOSE your auction at the end! When you do your winning bidder reply, theres a box on the left hand bottom of the page that says, "close thread." Click that before hitting reply. This way people know the auction is over and don't keep going to your auction over and over for days.. Or worse yet, BID on a closed auction!!! AH!!! Added from replies: The auction house has the same rules as the trade forum. I believe you must be a member for 10 days and have 30 posts under your belt. This is to stop people from coming here JUST to sell I think. It's also lets new folks get used to the format before attempting to sell/trade/auction. Before you do run an auction, read the auction house rules. It is stickied to the top of the auction house forum, but here is the link. popular characters... except the fab 5 and tinker bell. go figure. they don't do well. Pins with good trade to wants ratio's. A pin with 12T and 18W wont do as well as one with 12T and 60W. Edition size doesn't seem to matter to much if the trade/want ratios are decent, or great. Putting a pin, any pin on the auction house is a risk. You may or may not get bid offers that you like, and currently, there are no reserves. If people bid, you MUST choose a winner. And you cannot end early, so once the pin auction posts, you are stuck with it. If you do not want to risk getting pins that you do not really like, do not auction the pin. Post it on the trade forum instead. I do truly hope this helps all of you out there contemplating running your own pin auctions! My bizarre small print in my auctions is also as close as possible to being a copywrite. LOL Do you have to follow these guidelines? Heck no, but it might help you out in the long run. Thanks for this handy guide! I will definitely be referring to this when I post my first auction. I only request that people close or mark their auction as Sold/Ended. i find it terrible annoying when auctions are over for more than 24 hours and not closed. Argh! oh no, not just you... thats a pet peeve of mine actually. Drives me insane when i open an auction, and relize afterwards that it is over... I have bid on closed auctions by accident too. annoying. Will add to the OP. Yet again - another great "how to guide" Kristine, really helpful, will always report back to it when setting up an auction. hi ,this is a great help . Is it okay to auction non pin items for pins? I have some items that my husband and I have experienced buyers remourse over from our last trip. Nice stuff...just spent WAY too much money and if I can get pins from these items instead I would prefer that. Until you are comfortable auctioning regularly, avoid multiple pins in one auction as well. "Zombie thread! I bring you back to life!!!!!" ITS ALIVE!!!!!! Ressurection card played, it works fantastic! Yes, so far they have not had any problem with people auctioning non pin items for pins. You're calling *this* a zombie thread?? It's only 10 days after it started!! Haha! 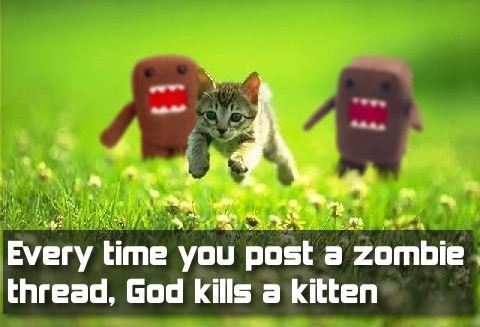 good thing kittens have 9 lives then huh? I do want to second the post that I loooovvveee the fine print. So funny and creative! Thanks for bumping this! Very helpful! how many posts do you need to post an auction? We kind of want to do one...and how do you gauge interest in the pin....like we would like to auction it and get something even/fair. Is there a possibility of someone just bidding nonsense in the last second and we HAVE to trade with them (i.e. no one bids, an hour before the auction is over someone bids a hidden mickey for your LE)? The auction house has the same rules as the trade forum. I believe you must be a member for 10 days and have 30 posts under your belt. This is to stop people from coming here JUST to sell I think. It's also lets new folks get used to the format before attempting to sell/trade/auction. Pins with good trade to wants ratio's. I pin with 12T and 18W wont do as well as one with 12T and 60W. I've actually never known how to link in stuff. How do you get a picture that you click on to link to Pinpics? Someone also taught me how to put a pinpics link in where you hover over it and the pic comes up. Can someone remind me how you do that?